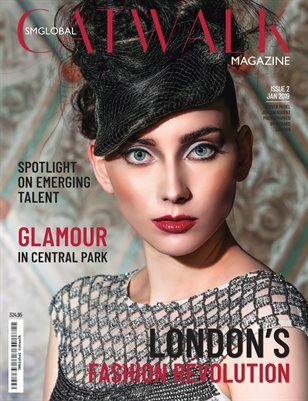 SMGlobal Catwalk MAGAZINE; the highly anticipated publication designed especially for people who want to stay connected with the world of International Fashion; Beauty and Lifestyle brought to you from a global perspective. I promise to discover raw talent from around the world and bring you the scoop of established and emerging talent in The Global Fashion Industry. This magazine is for readers who want to know the latest trends in Fashion and Technology and how this affects future innovation. I am an Award Winning International Fashion Designer and the brainchild behind the revolutionary “SMGlobal Catwalk”; an International Fashion Movement which involves Fashion Shows & Events; Model Management; a Training Academy; this Magazine; a TV Channel and a Multi-Designer Store. I am also a Philanthropist and the Founder/President of “Relief SMGlobal Foundation Inc”; a 501c3 Charity with a mission to help women & children around the world lead better lives through Education, Training and Empowerment funded through Global Fashion and Modeling events. My own struggles of becoming a success in the Fashion Industry have inspired me to create a concept that will allow emerging talent an opportunity to reach their goals and aspirations and turn them into a profitable opportunity. I had a vision; to create the greatest, most stylish, innovative, authentic, conscious, inspiring & entrepreneurial Fashion Movement in the world and this magazine is another division of our fast-growing global empire. It has not been easy but we are fortunate to have an extraordinary team bringing together a collective of like-minded, passionate game changers, thought leaders, visionaries and style makers from all over the world. Through these pages, you’ll find stories on global trends, philanthropy, international designer brands, artists, models and much, much more. In a world full of imitation; I want to rise as a leader in this competitive industry by living my dream and believing that anything is possible when you have a clear vision and focus. 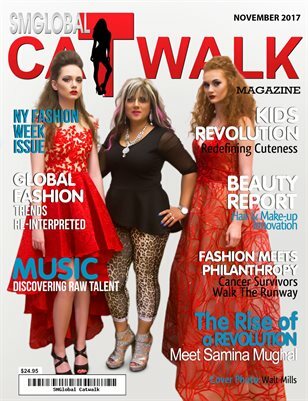 Thank you from the bottom of my heart for believing in and supporting SMGlobal Catwalk. I look forward to taking this journey with you as we continue to grow globally. I welcome your feedback and input so that we can continue to be the very best that we can.